Mike Thomson has opened our ears and eyes to world horrors happening now: be it the plangent hopelessness of Fayo Hadji, an Ethiopian child whose hunger ignited tender philanthropy or the calamitous Dafur crises from 2003 or currently, the disheartening absence of humanity metered out in Syria, focussing on the ruins of Raqqa, Idlib and Eastern Ghouta. The BBC’s Foreign Affairs Correspondent joins Abacus to bring into the light some personal thoughts on what motivates his interest: we hear too of the impact that following his heart/viscera/head has had on his world view. And we learn that for want of a haircut, we might have been deprived of the searing investigations that shine light into the darkest recesses of mens’ souls. A multi-award winner, he is for instance the only recipient of the Amnesty International Media Award for Radio three years on the trot. No pressure, then. Following broadcast, Our Gorgeous Guests will have pertinent links to some of Mike Thomson’s prolific output. 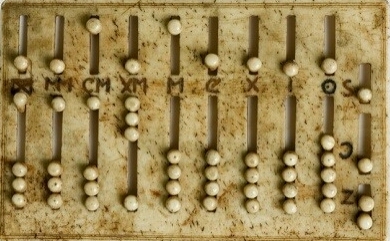 Abacus: an attempt to make things add up. Broadcast on the first Tuesday of most months at Five on Resonance 104.4fm, DAB and resonancefm.com: repeated at Three, two days later. Presenter details can be found here.